Piedmont Wind Symphony and The Vagabond Saints' Society will team up for a groundbreaking collaboration at the Triad's newest and hippest venue, The Ramkat. 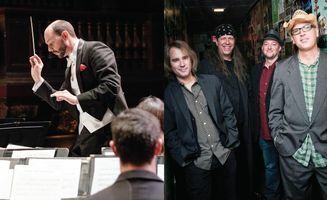 This concert will explore the unique connections between Rock n' Roll and "Classical" music. Don't miss this one-of-a-kind concert and explore connections between these two great genres.